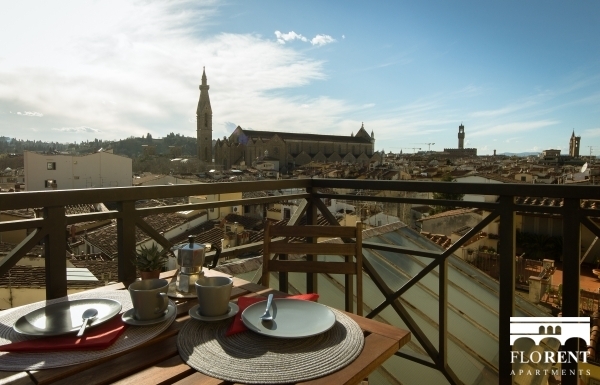 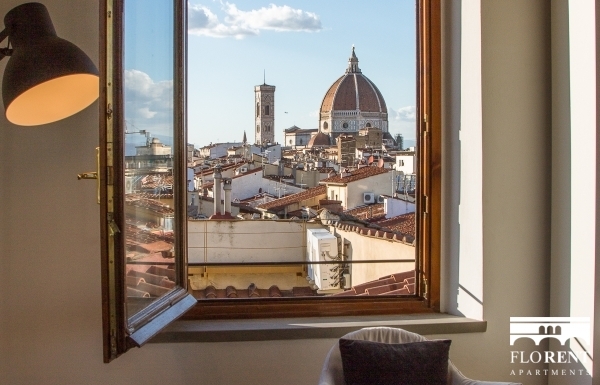 Breathtaking luxury apartment with glorious views over the entire city of Florence, one not to be missed! 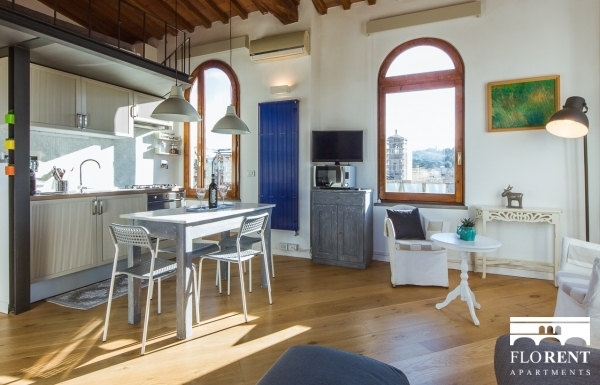 This incredible apartment has been designed and decorated to the highest of standards. 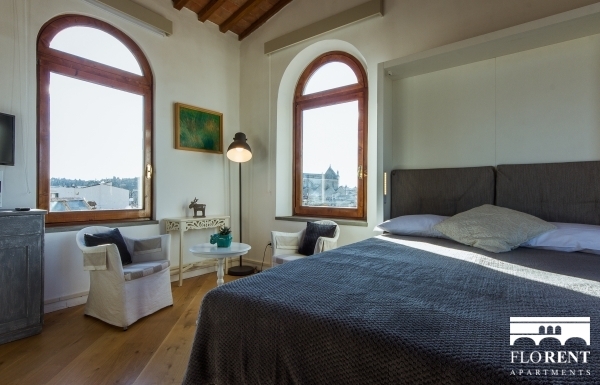 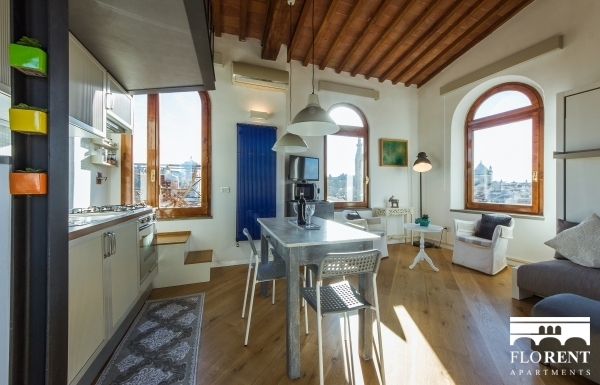 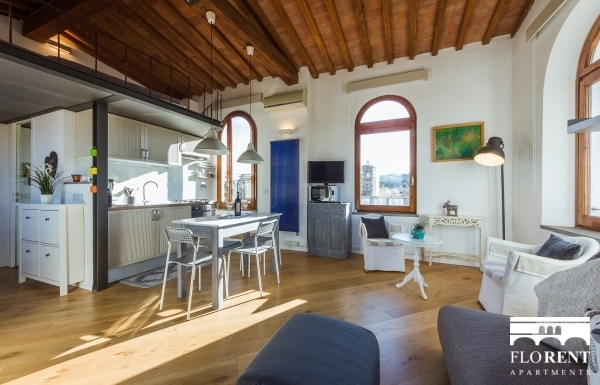 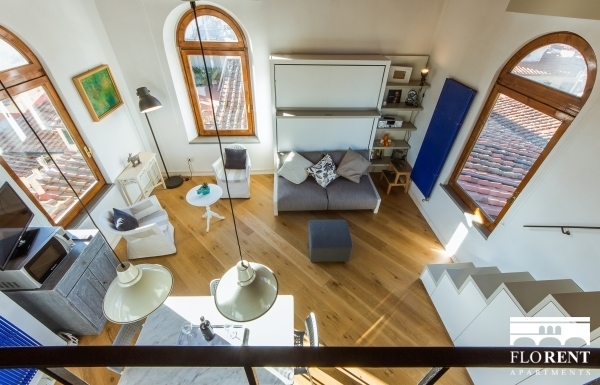 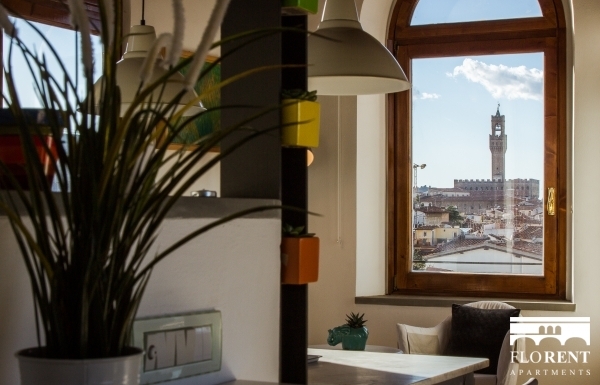 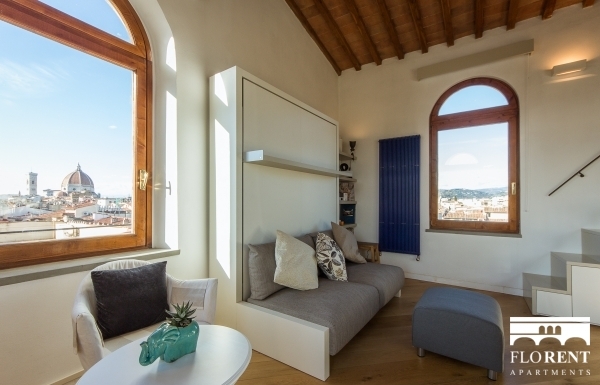 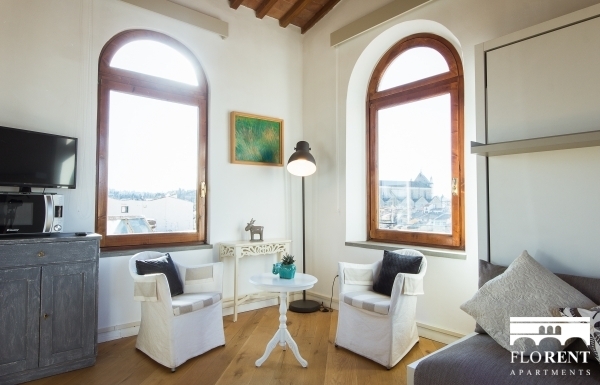 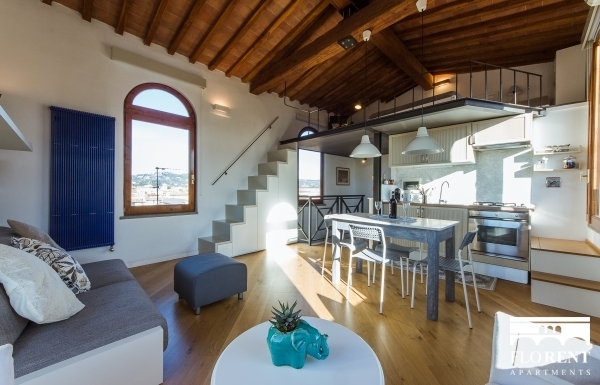 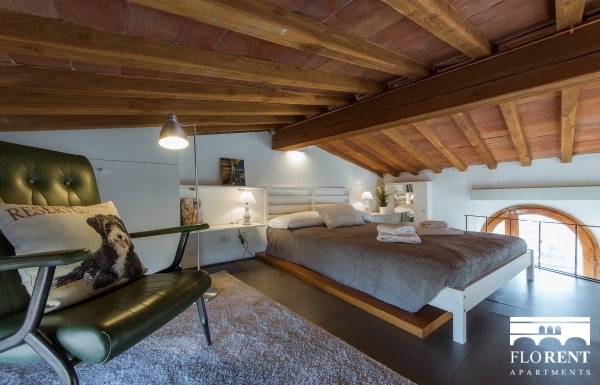 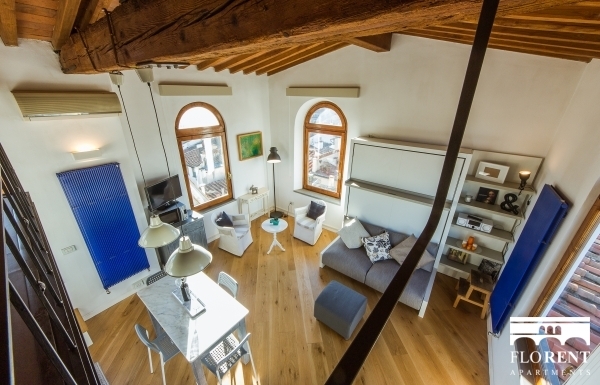 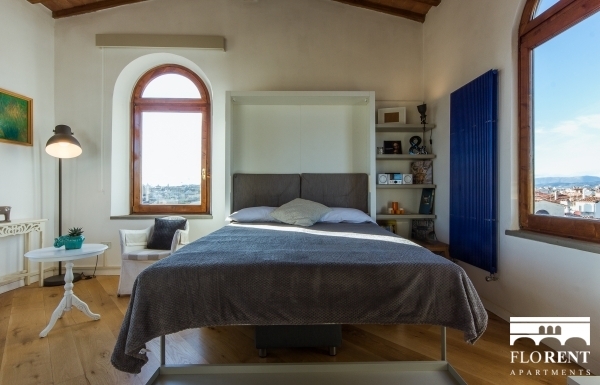 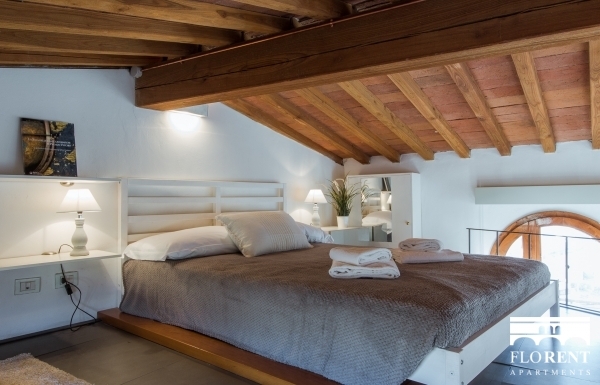 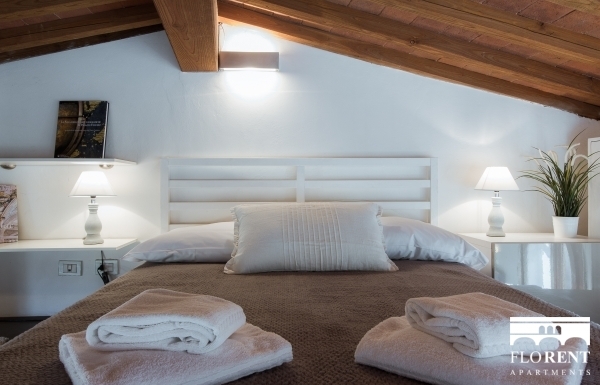 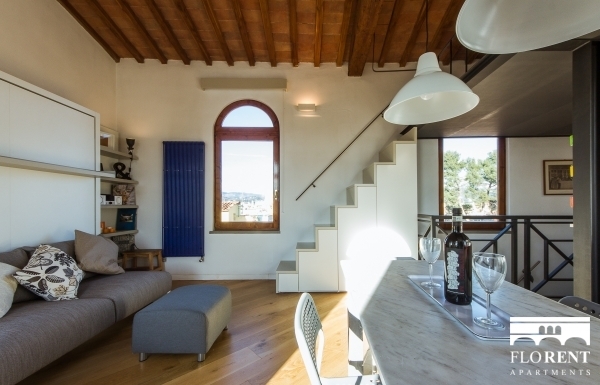 Beautiful high ceilings with exposed beams and gorgeous arch shaped windows, providing panoramic views, you will be sure to feel like you’re living the dream here, in your modern day castle suspended in the sky above Florence. 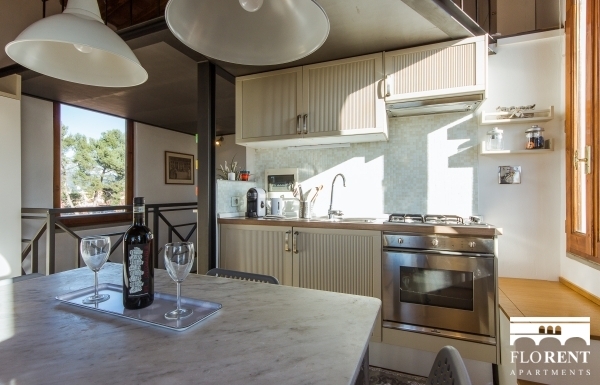 The living-room area is light and extremely pleasant with a gorgeous American style kitchen. 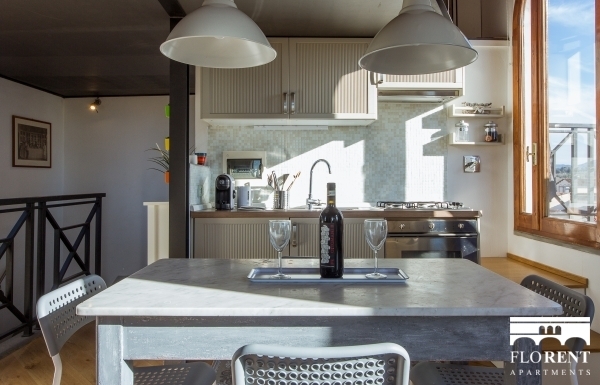 The fashionable polished concrete dining table is perfect for entertaining guests and the kitchen has everything you may require and more for the duration of your stay. 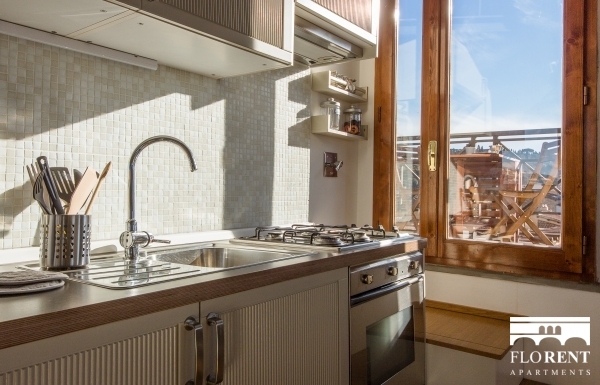 Next to the perfect kitchen, is a small step leading up to a marvellous terrace over looking the city. 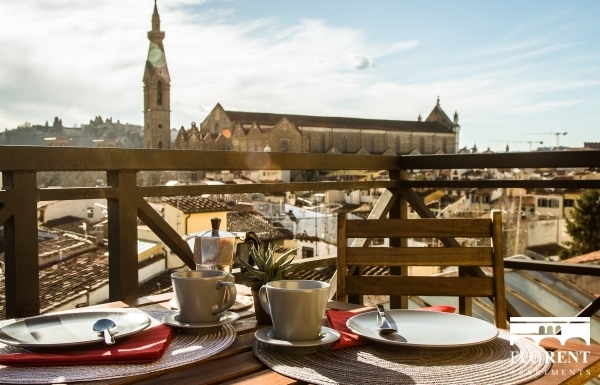 Here, you could enjoy a sweet continental style breakfast at sunrise or a shared aperitivo with a loved one at sunset. 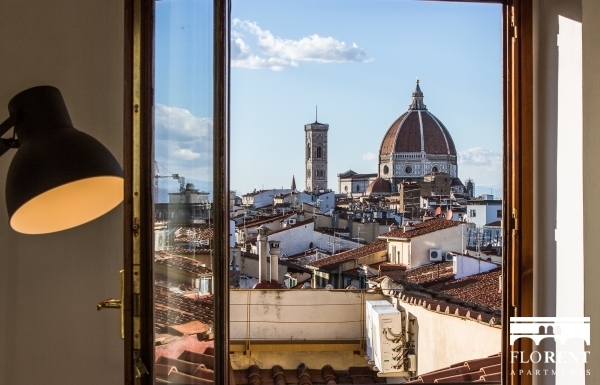 Both not to be missed. 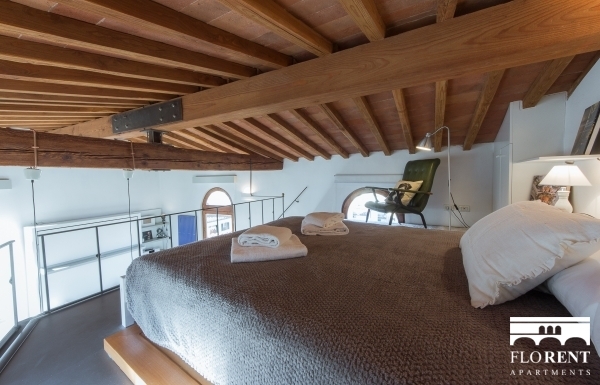 The stairs located on the other side of the apartment, will take you up to the amazing mezzanine master bedroom. 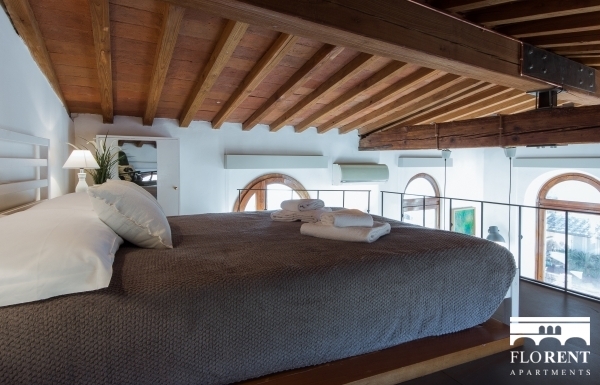 Another example of the impeccable attention to the details in design, you will be sure to have plenty of sweet dreams here. 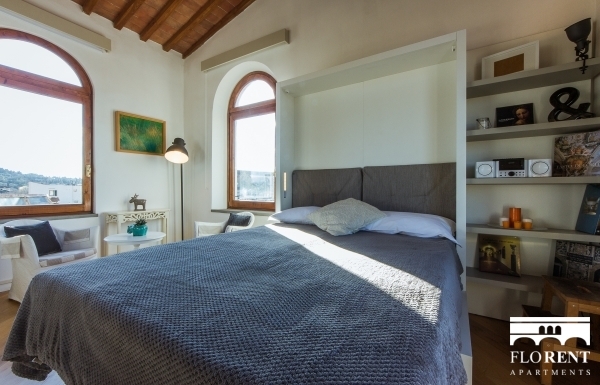 There is also space for more guests if required, as the living-room wall space behind the sofa has a fun trick of transforming itself into an extra bed. 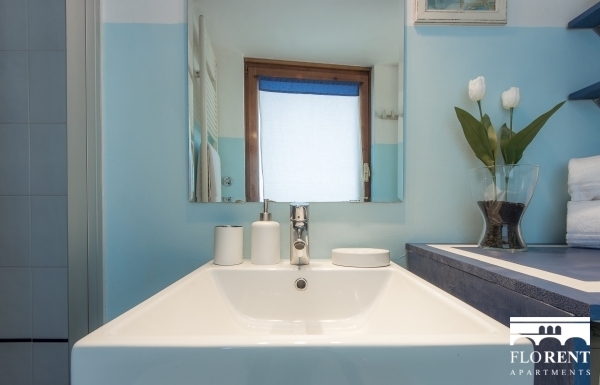 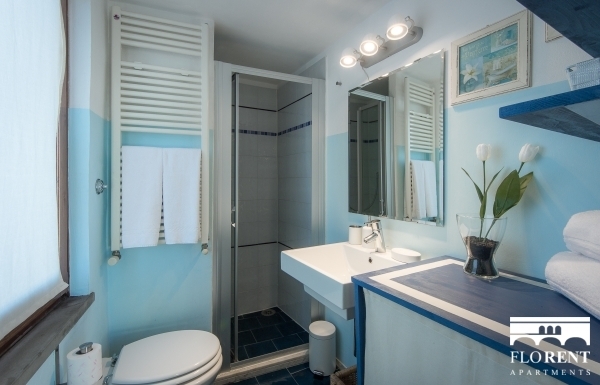 The bathroom is charming with Mediterranean inspired colours and a large window, providing an abundance of natural light. 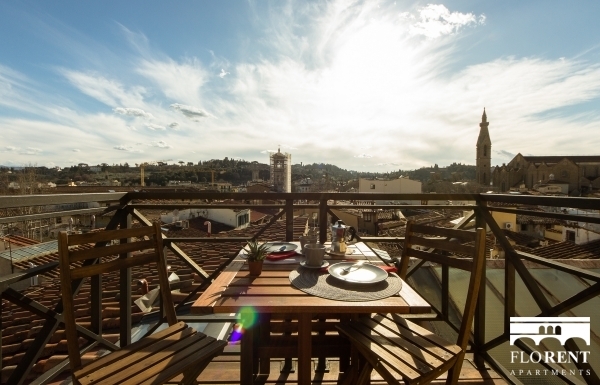 This is a very special apartment, with supreme panoramic views of this incredibly breathtaking, ancient city of art. 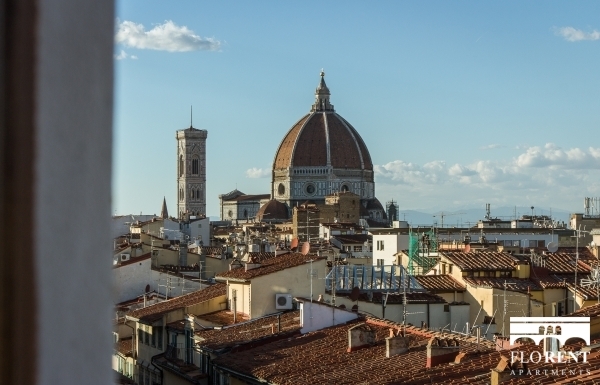 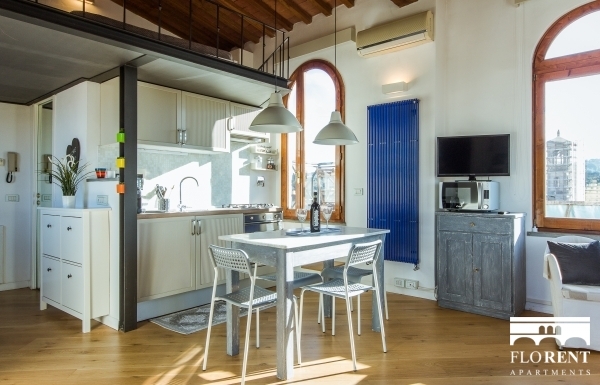 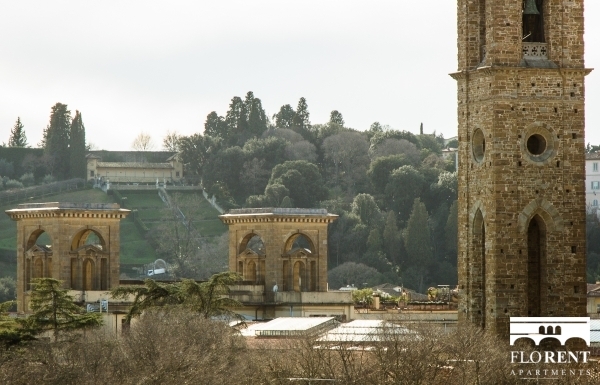 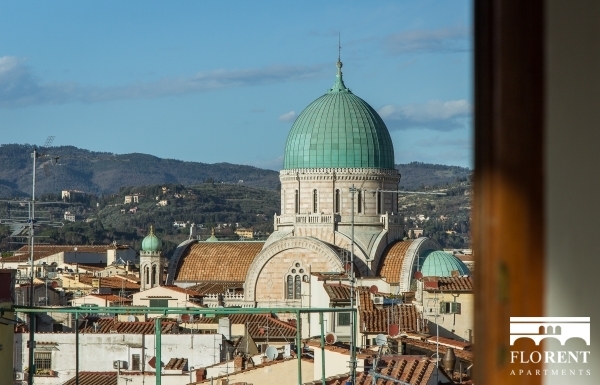 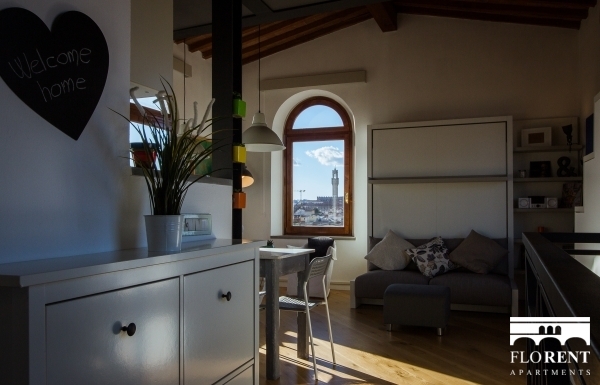 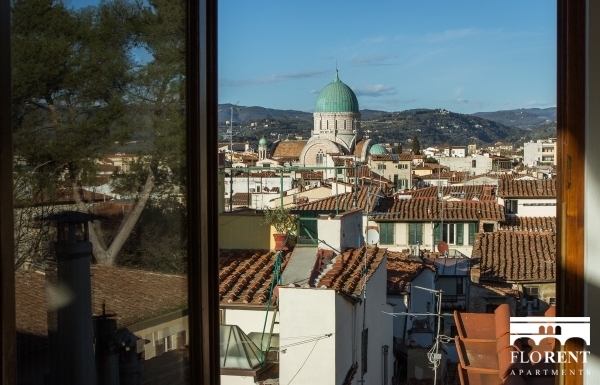 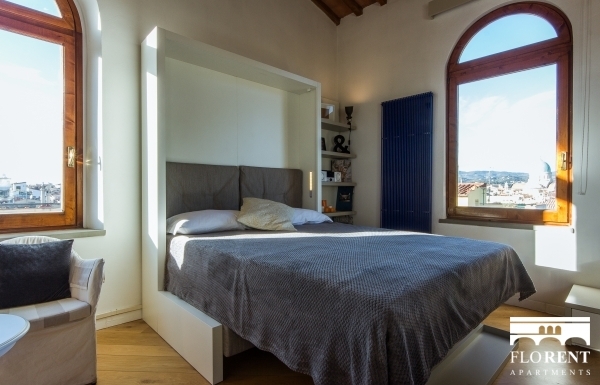 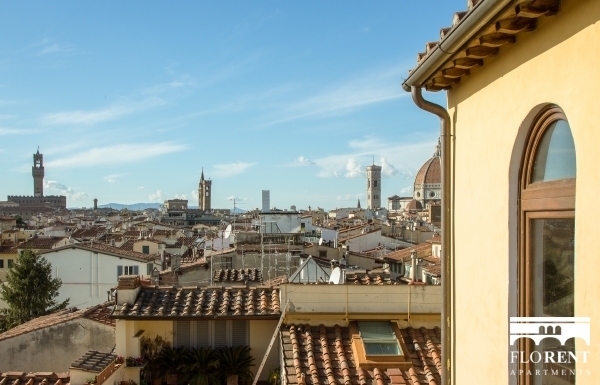 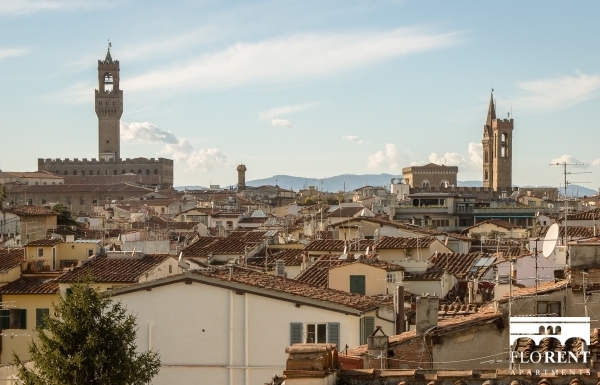 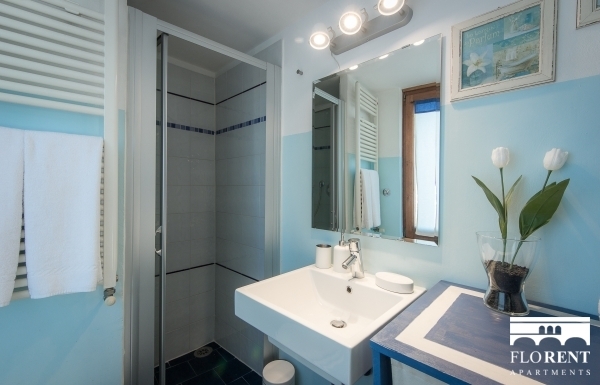 With the panoramic views from this apartment, you can easily gauge how close you really are to all the main historical sites and attractions Florence has to offer. 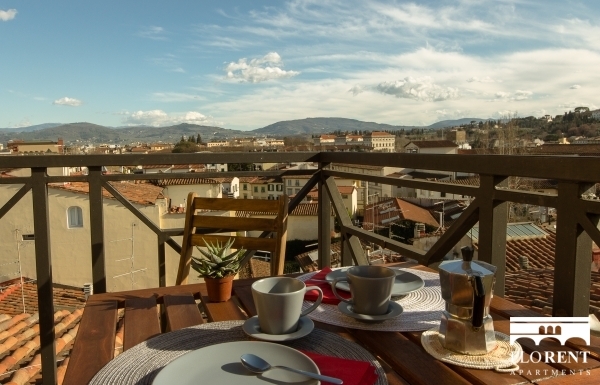 From this location, everything you wish to experience is easily reachable by foot from the apartment. 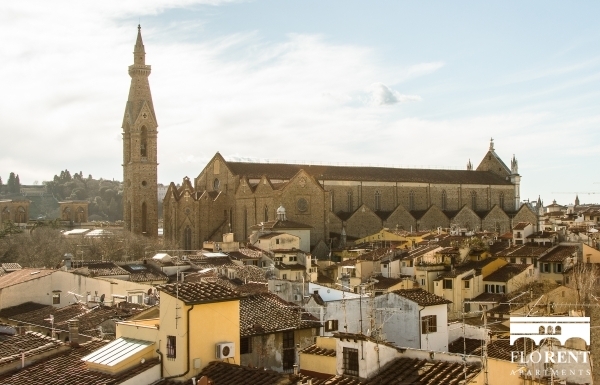 The neighbourhood of Sante Croce is well known for it’s lively atmosphere, with plenty of fantastic restaurants, fun bars, great boutiques and many more exciting discoveries just waiting for your arrival. 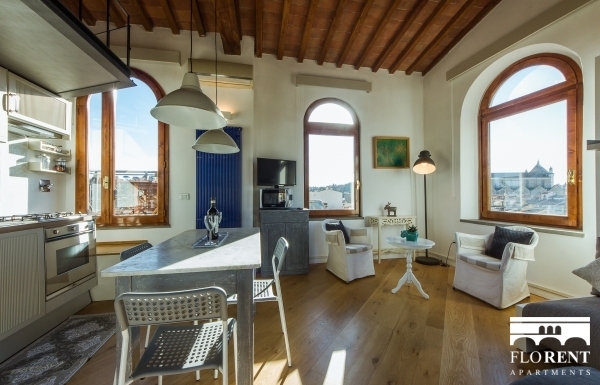 This apartment is truly spectacular, the only issue you may have is spending more time enjoying the apartment than the usual tourist route out on the streets below!